Clutter-free room. Who doesn’t love that? 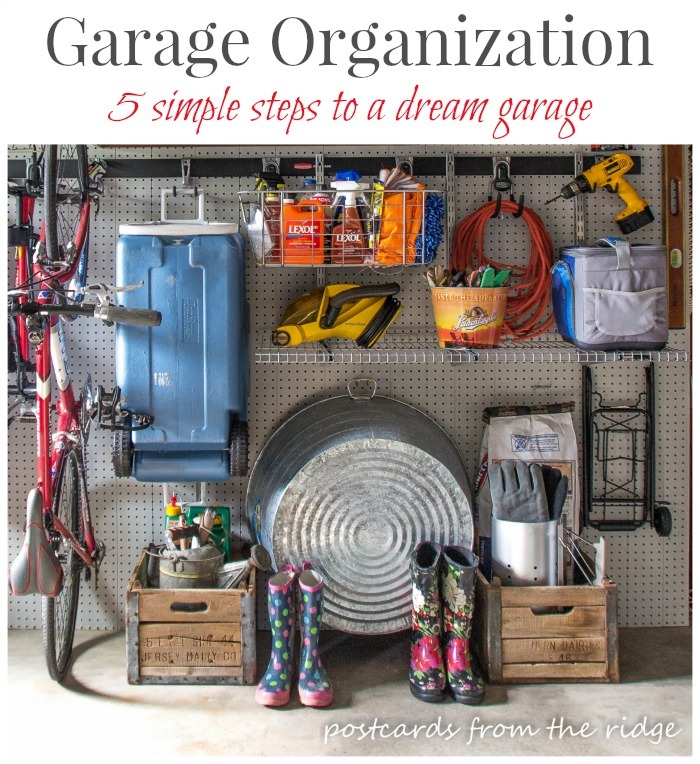 It is an elusive dream very few of us achieve, and especially when it comes to the garage, getting it clutter-free is nearly an impossible scenario. However, as Nelson Mandela teaches us, “everything might seem impossible until it is done”. 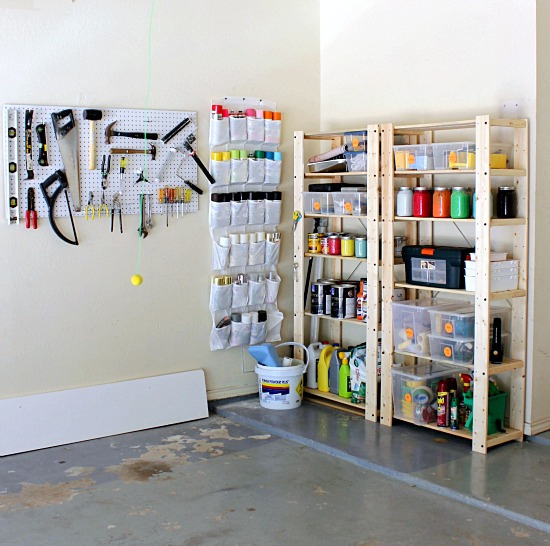 So, with that in mind, we present you several DIY tricks and hacks for your garage that will help you keep it clutter-free. 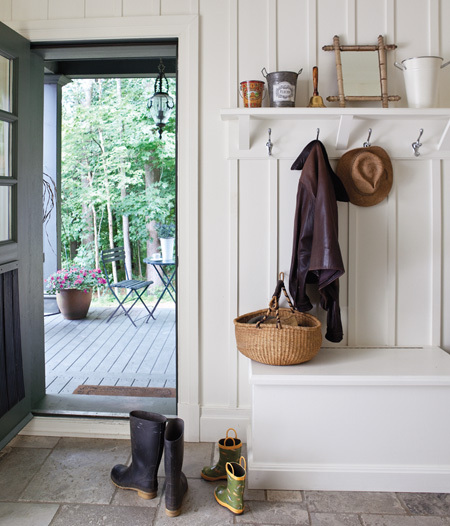 Let’s start with a sliding door that will keep your tools in one place. 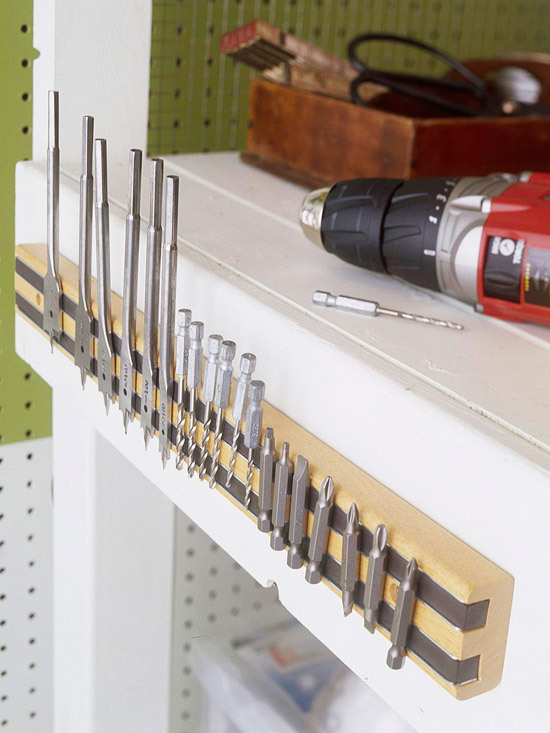 It might take a little more time to do it, but this shelf system will help you keep the garage clutter-free, give you access to your favorite tools, and take advantage of narrow space. Baskets, baskets, and more baskets. That is the trick to keeping any room clutter-free, and when it comes to the garage, there are few spots you can exploit to place your baskets. Find out which! Storing one bike in the garage is easy. 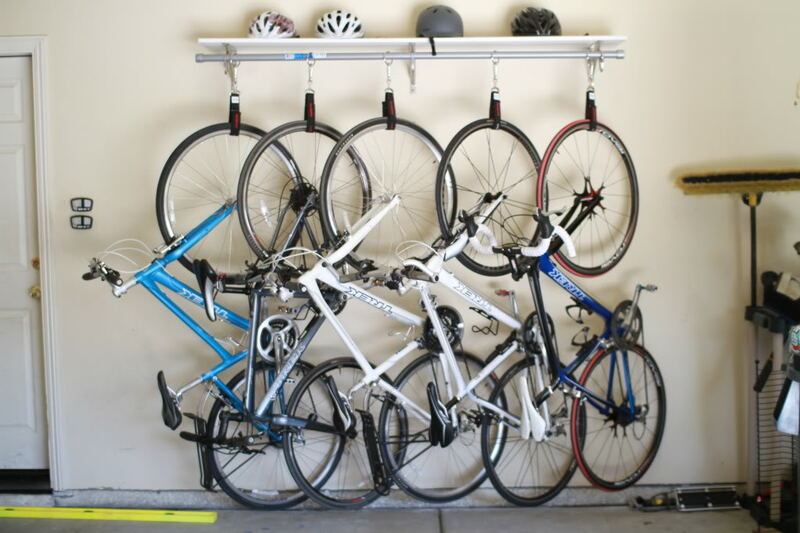 Storing several bikes in the garage can spell trouble and clutter. Well, don’t panic, we have a solution for you in the form of a do-it-yourself bike rack. The ingredients you’ll need will cost you, but the end result will come as a relief. Get your bike team ready! 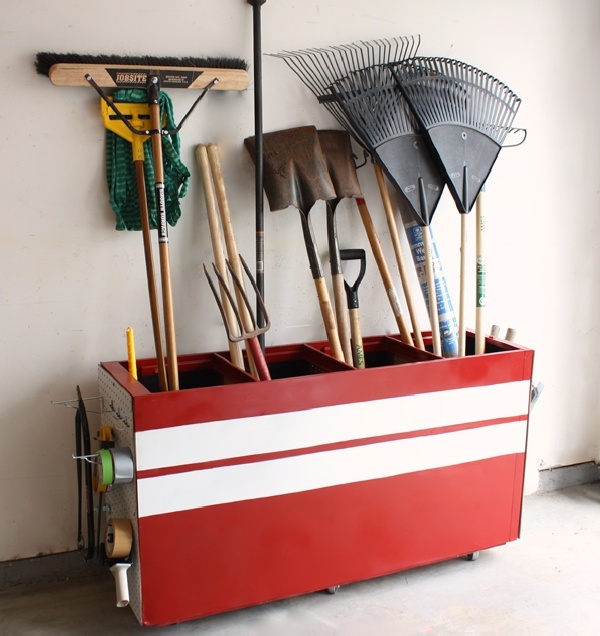 A caddy that can help you organize your tools, and it is portable. Where has this tool sent from heaven been all your years you ask? Well, ask no more, follow the instructions, and you can build your own portable caddy storage. Who doesn’t love turning something old into something new? Recycling, recycling and more recycling, that is what everyone in the environmental sector will tell you. If you have a file storage cabinet lying around, use it. We’ve got some tips for you how to make it happen, but you’ll have to do the heavy lifting. Chairs are for sitting only right? Wrong! Our creative mind can do so much more with a pair of chairs and some free time. 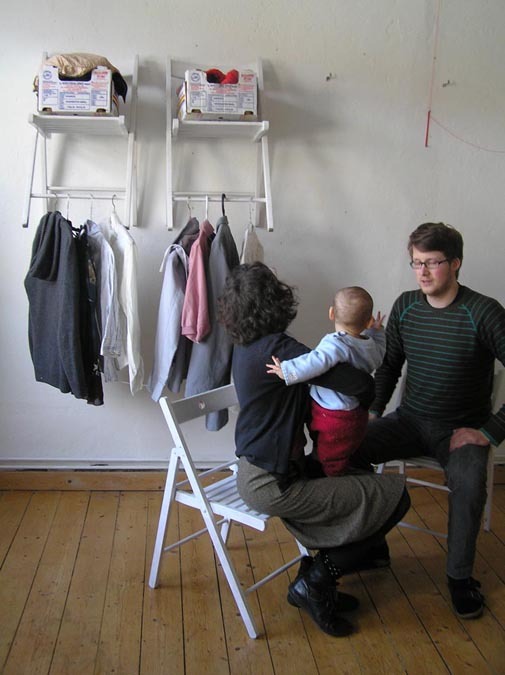 Take this storage solution made from folding chairs. Yes, you can sit on them, but you can also use their potential to the maximum, and keep your garage clutter-free. What will you choose? 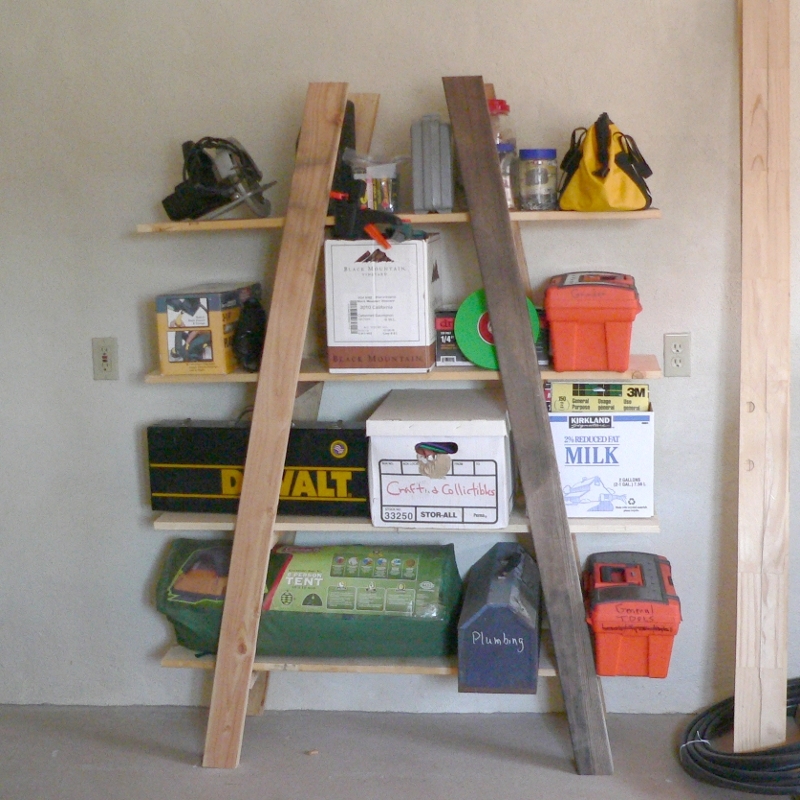 Every garage needs shelves as much as the soil needs water. Or to put it another way, as humans cannot survive without oxygen, garages cannot “survive” without shelves. And the reality is, your shelves don’t have to cost a ton. If you are up for it, we’ve got a solution for you that you can get it done all by yourself. 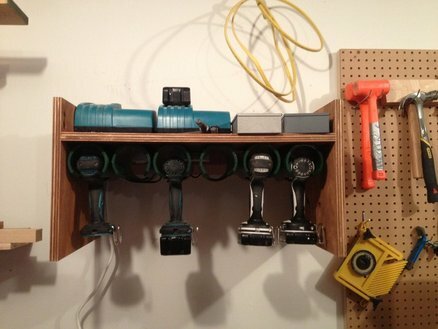 Speaking of shelves, we have another one especially designed to hang your tools. If you hate seeing your tools lying everywhere around the garage, and you hate yourself for being unable to find your tools every now and then, take the time to invest into something that will solve your problem. And when we say invest, we mean invest time, not tons of money. If your garage doesn’t serve only as your parking spot, you know how messy it can get. All those tools, screws and everything else can create a chaos you don’t want to see. And when it is too late, you might think “screw it”, I give up. Well, let me tell you, never give up, there is a solution for every problem. Even for your clutter in the garage. 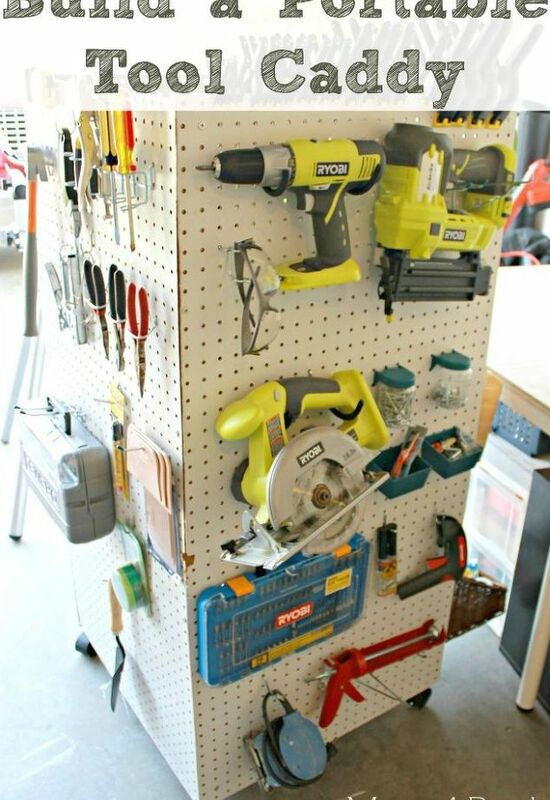 Your first step, a pegboard for tools. Start from there, and you’ll see how easy you can get rid of the clutter. As we mentioned the topic of recycling, reusing and repurposing, let’s continue with jars. An object you can easily find in every household, but very few people know the secret and the tricks to maximizing its potential. 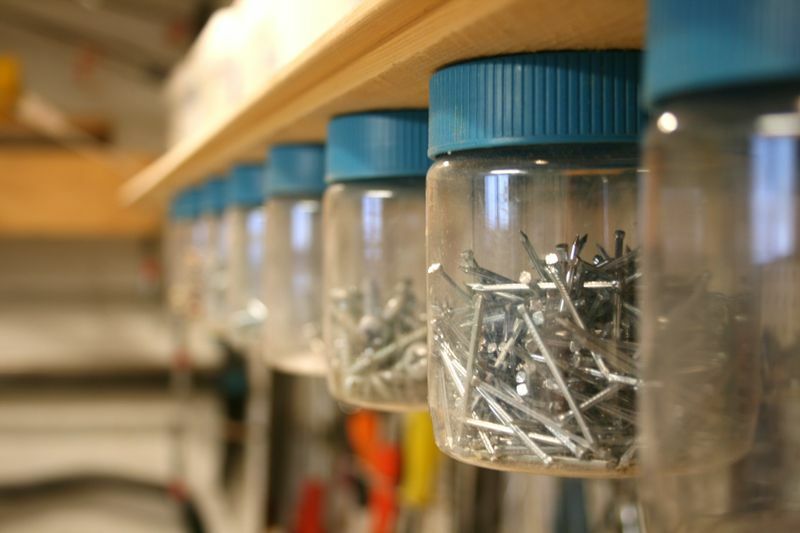 Here, jars are being used for organization of your screws and nails. Simple, yet effective! 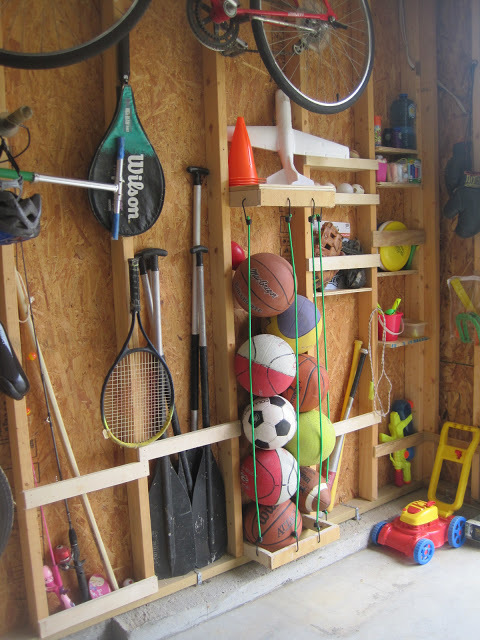 When you are doing DIY projects, chances are, you are responsible for half of the clutter in your garage. So, you must fix what you did wrong. 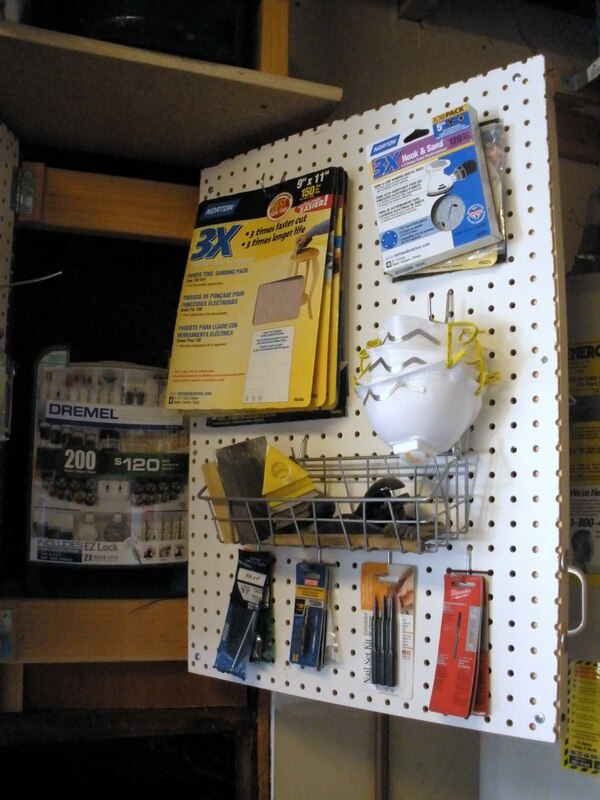 We’ve got some paint and tools organizing solutions for you that will make your DIY life easier and practical. Who doesn’t love a good fold-up solution. 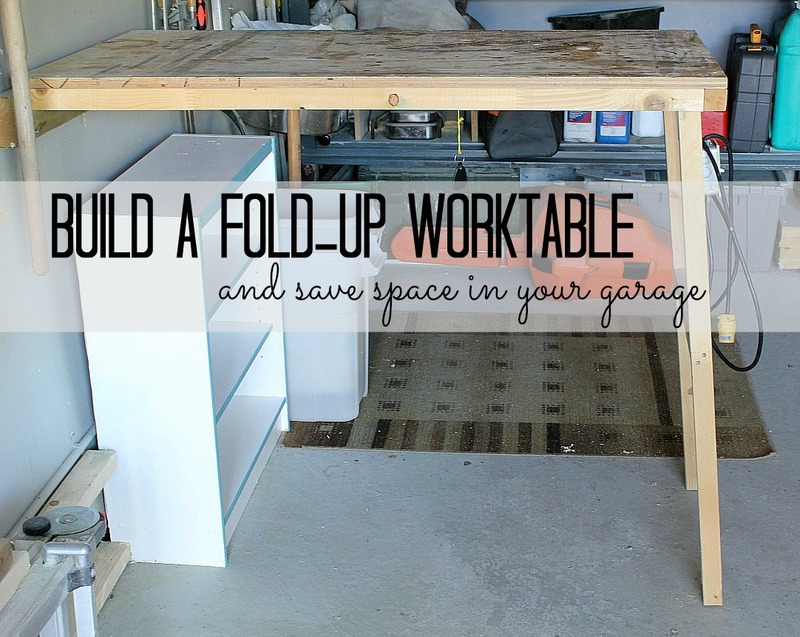 The beauty of fold-up pieces is you can fold them up and down at any time, get extra workplace when needed, and remove it when you want clean garage. Take a look at this table. The ceiling is probably the last place you would think as organizing asset in your garage. 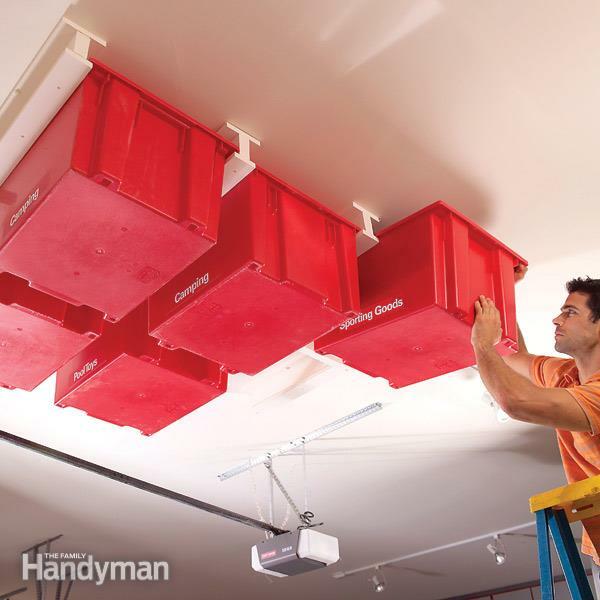 I hate to be the one to break it to you, but if you have been ignoring the garage ceiling, you are probably not doing a good job of organizing your garage. Now, it might be time to reconsider the ceiling, and we’ve got the perfect solution for you. How many tin cans you have in your home? Several for sure. Some are filled with some veggies, some are empty. And I bet you throw your cans the moment you eat all your veggies. Well, you are doing it wrong. 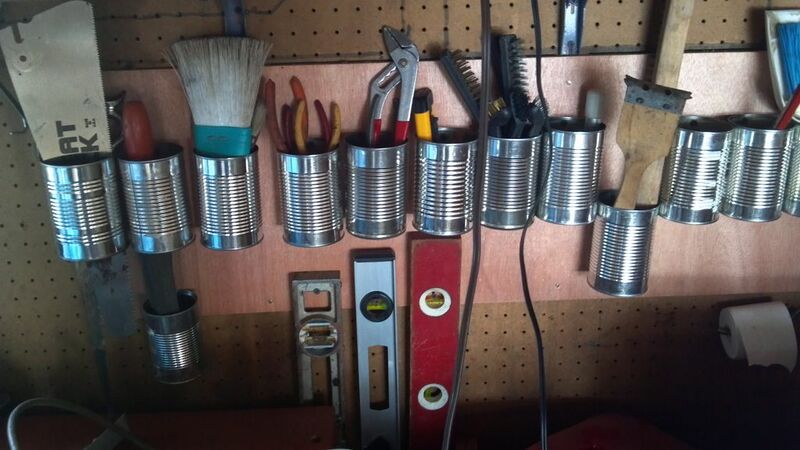 Literally everything can be reused and recycled, and in this case, tin cans can help you solve the clutter problem in the garage. See for yourself! From chaos to order, from zero to hero. 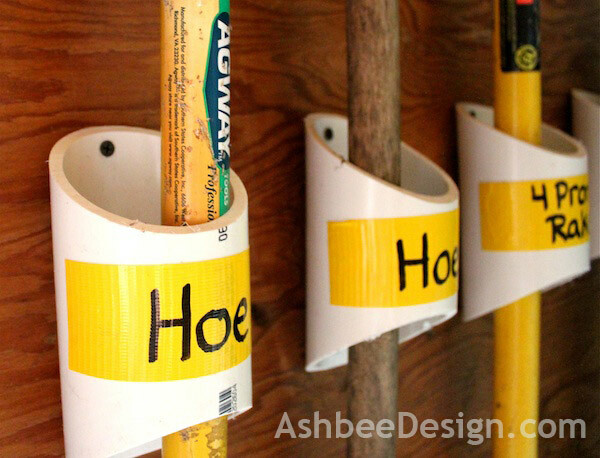 That should be the name of this DIY project for the garage. Check the step by step guide how one hero decided to clean the whole garage in a weekend, and never suffer from clutter ever again. 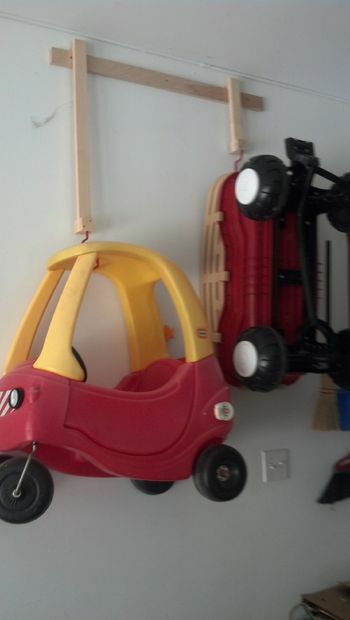 For those with little children out there, I know how hard and messy your garage can get once you “park” of all your toddlers cars in the garage. That being said, you might get to a point where there is absolutely no space for your own car in the garage. What do you do? I know what would I recommend you to do! Missing attachments? Getting nervous about being unable to find your attachments? Well, this magnetic tool will help you. Say thanks, and take care of the clutter in your garage. Spread the world and be a good Samarian. Planning is key to clutter-free room, the garage included. And if you thought polyvinyl chloride or PVC is a material used only for your windows, think again. PVC windows might be taking over the interior design, but the material also comes in handy when you need to empty and organize your garage. See how! 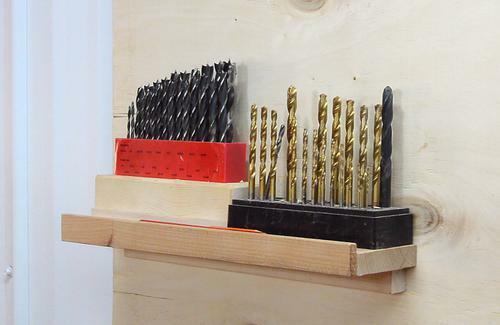 Every garage has few drilling tools and they are probably the hardest to store and keep organized. The design is inspired by a store-bought product, but nevertheless, it is a DIY project you can do over the weekend. This might sound like those “how to lose weight in five simple steps” articles, but as with losing weight, organizing your garage is possible when you follow certain rules. The key as always is in planning, and then doing some of the heavy work.